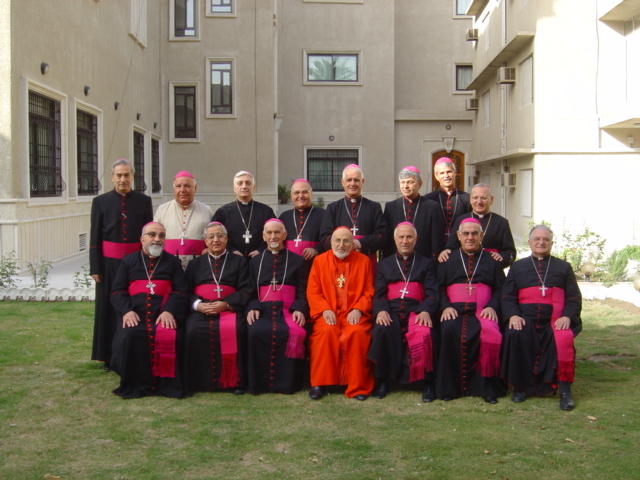 * It is good to note that a few bishops were absent from the Synod because of the situation in Iraq. This is the first photo for the Chaldean patriarchal Synod held in Baghdad on April (18-21). Immediately after the Synod, our Patriarch “Emmanuel III Dalli” flew to Rome along with our beloved Bishop Mar Jammo. We’ll provide you with their pictures with His Holyness Pope Benedict XVI.